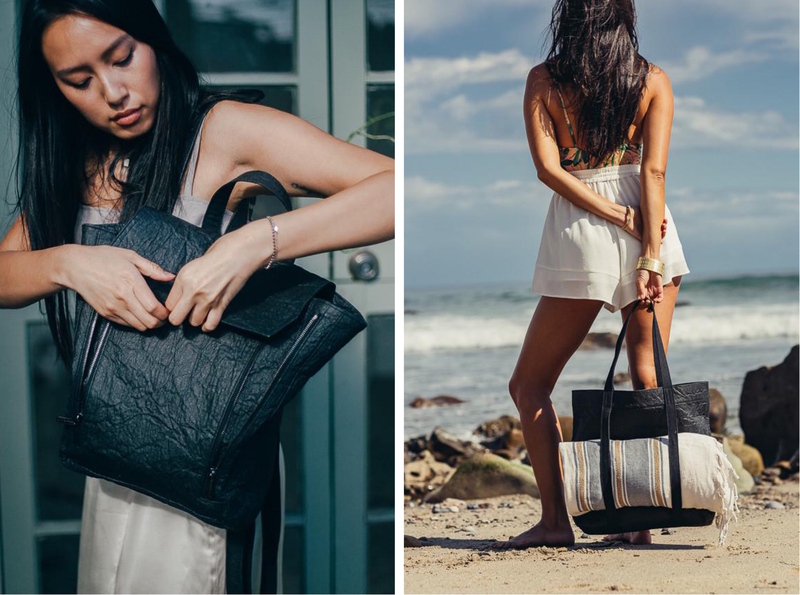 HFS Collective creates hands-free premium bags to liberate women (and animals). Their small classic belt bags, wallets, water bottle holders (for your reusable water bottle!) and cross body bags are cruelty-free and go with every outfit. 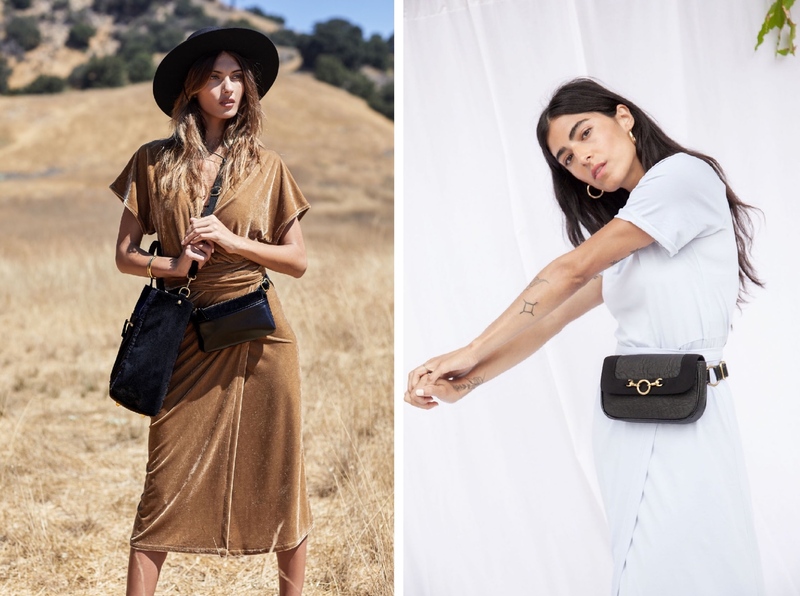 The Los Angeles-based brand sources only recycled, upcycled, deadstock or low impact materials including vegan cork, piñatex, recycled polyester, premium eco-vegan leathers and more. Check out their Piñatex Collection! 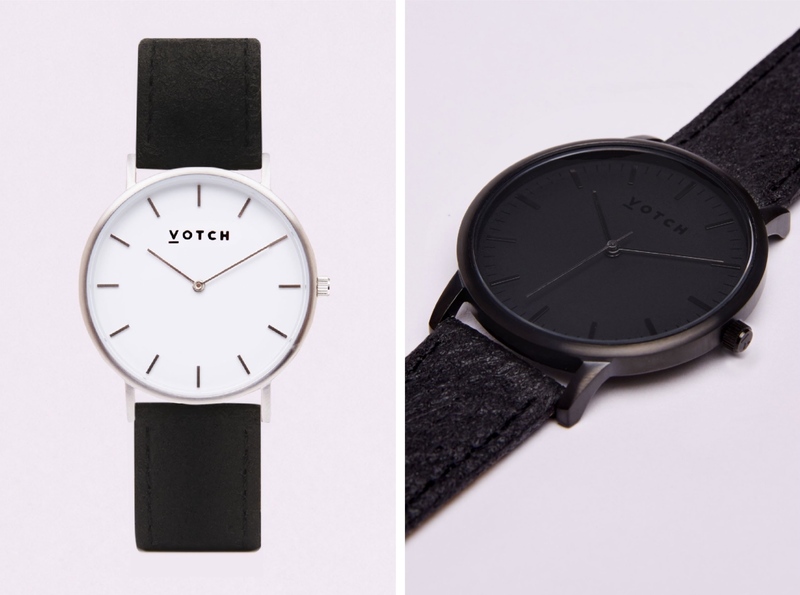 Votch is a PETA-approved watch company from London that produces minimalistic timeless watches using vegan materials such as Piñatex. Without PVC, chemicals, or heavy metals. With each Votch item you purchase, 10% of the profits go to a charity that helps animals. Our top choice: the Silver and Piñatex Classic (€154.00). We can’t believe it’s not leather. We are fascinated by Ina Koelln’s vintage-looking high-quality Piñatex bags & accessories. 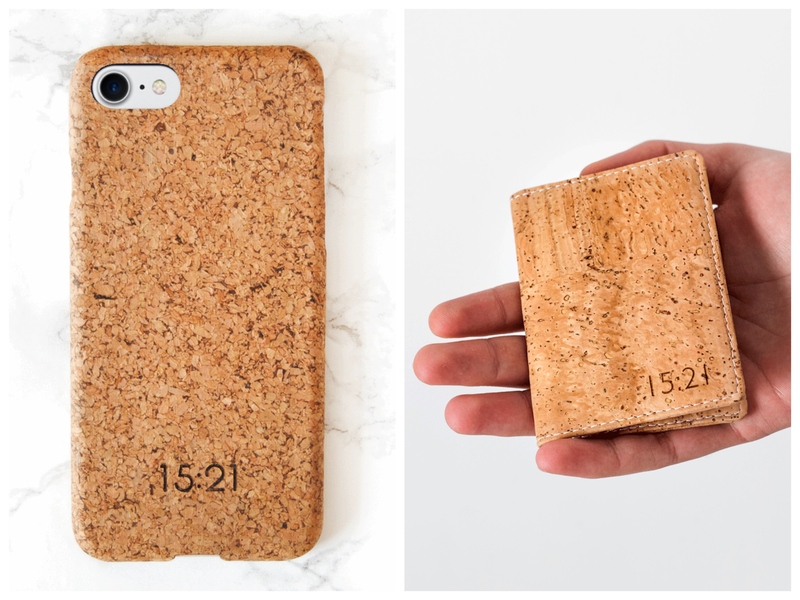 And they also make stylish products using sustainably produced cork. 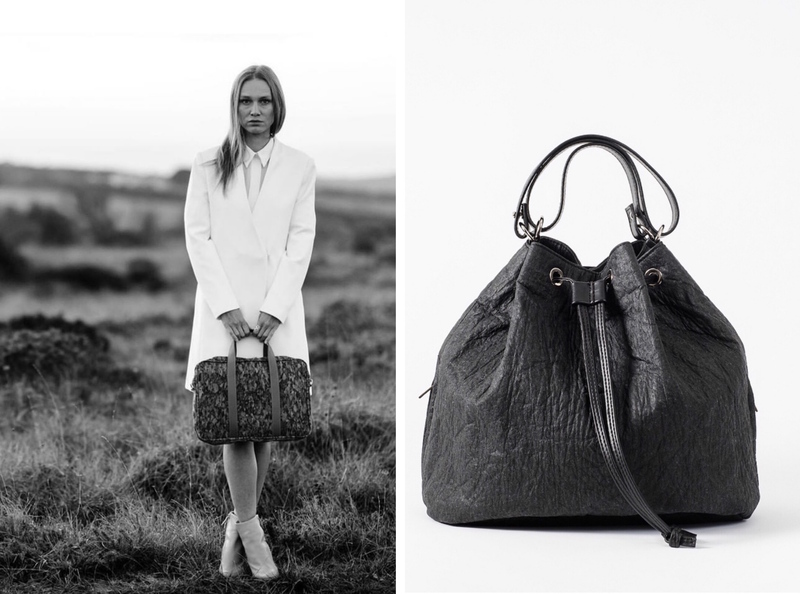 Choose between light and dark colored cork or the black Wally Black Cork Tote Bag (317.00€). It is ethically handcrafted in Portugal – just like all the other Ina Koelln items! At Maniwala you shop by material, not by style. Which doesn’t mean that the PETA-approved brand from Los Angeles sacrifices design. Far from it! We love their Piñatex bags and are particularly obsessed with the Banwa Piñatex Backpack ($450.00 USD). All of their products are plastic-free and use pesticide-free hemp linings. It’s worth the price as they last you a really long time. And in case they break, Maniwala is happy to repair or replace them for you! 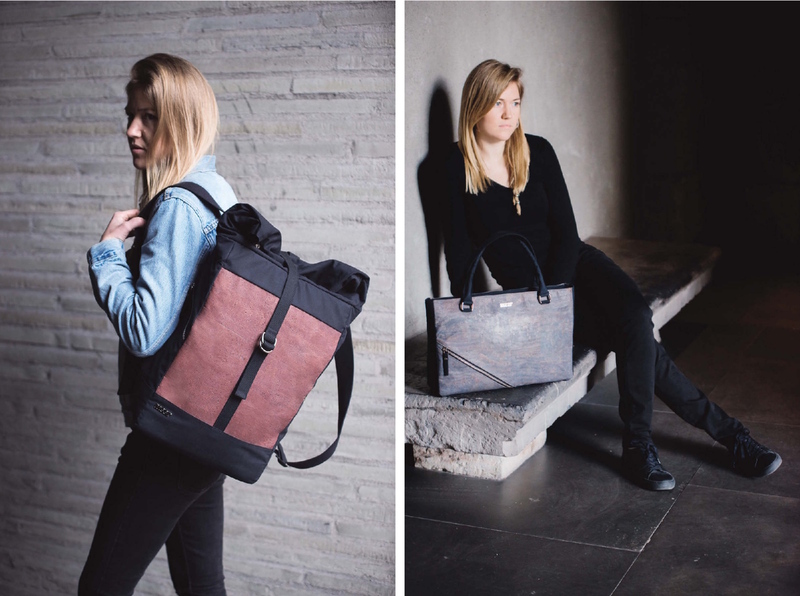 Meer Goods produces functional, robust backpacks, bags, and accessories using only superior natural fibers, dyes, and treatments. The brand even invented a textile called CorkanaTEX which makes truly sustainable goods a reality. 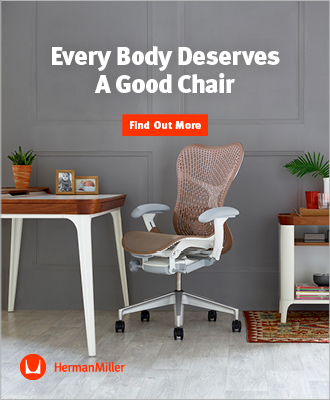 So that all of their products can hands down be integrated back in the biological system. Inside and outside, every Meer Goods product is completely free of animal products. 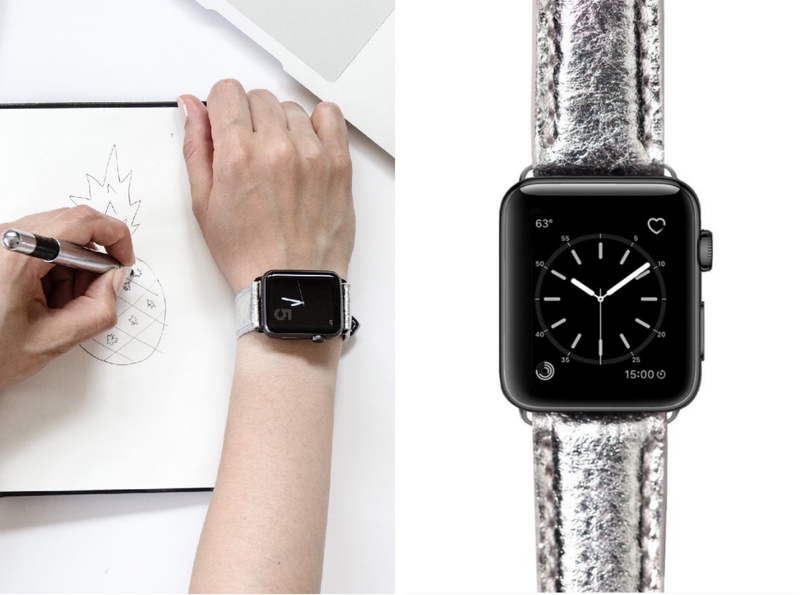 Mezando designs Apple Watch bracelets made from pineapple fibers. They are vegan, 100% sustainable, free of chemicals, water resistant and elastic. Plus, they feel and look just like traditional leather. Could we ask for any better watch bracelets? Available in 4 colors: earthy brown, pure nature, rough black, and cheeky silver. Oh my…silver looks like it comes straight from the futuristic movie Blade Runner! Produced in Germany, each bracelet comes with a 12 months warranty. 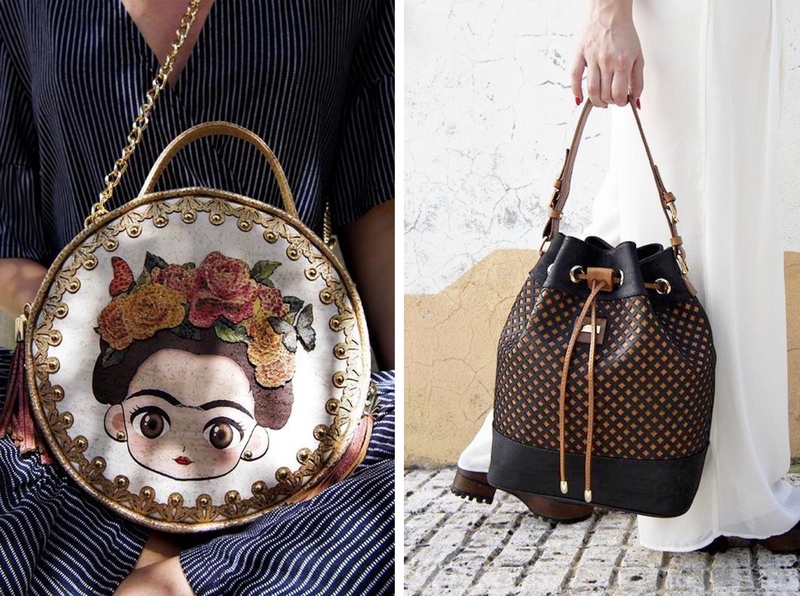 Ahimsa Collective is a PETA-approved luxury handbags and accessories brand. We think it’s great how they upcycle textiles such as Piñatex, Ecoprene and discarded materials from high-end fashion houses. 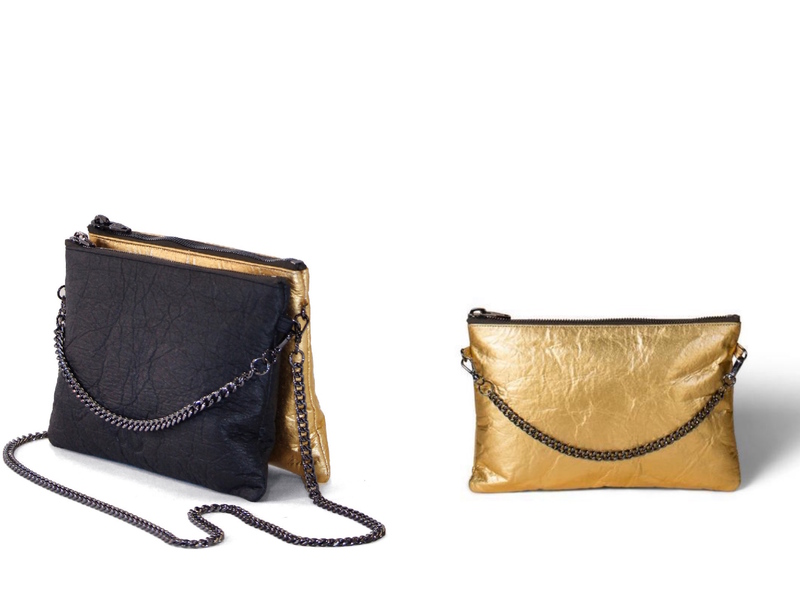 We go for their Double Dutch Clutch ($279.00 USD) in black & gold Piñatex. Going directly from the office to a fancy party? Simply reverse the black side and wear the gold and you are ready to shine. 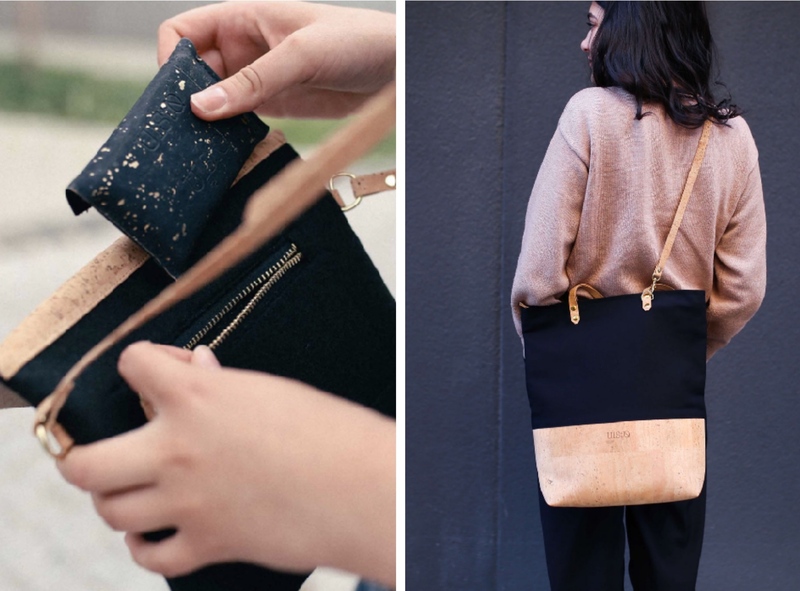 Cork to carry: UlStO makes puristic and practical bags, backpacks, clutches and yoga mats using cork mixed with recycled PET bottles and GOTS-certified materials. And they make pretty cork jewelry, too! All of their products are produced in Germany under fair conditions. We really like their Scandinavian looking pieces and will get the Rubra Bag (€99.00). StudioCork strongly believes that Cork is the new leather. And their mission is to spread this eco-friendly material around the world as an alternative to genuine leather. Find premium bags and wallets in various colors, shapes, patterns and with bold illustrations in their online shop. All items are manufactured with Portuguese cork.